For use on all catering equipment including kettles, coffee machines and boilers, easily dissolving limescale in minutes! 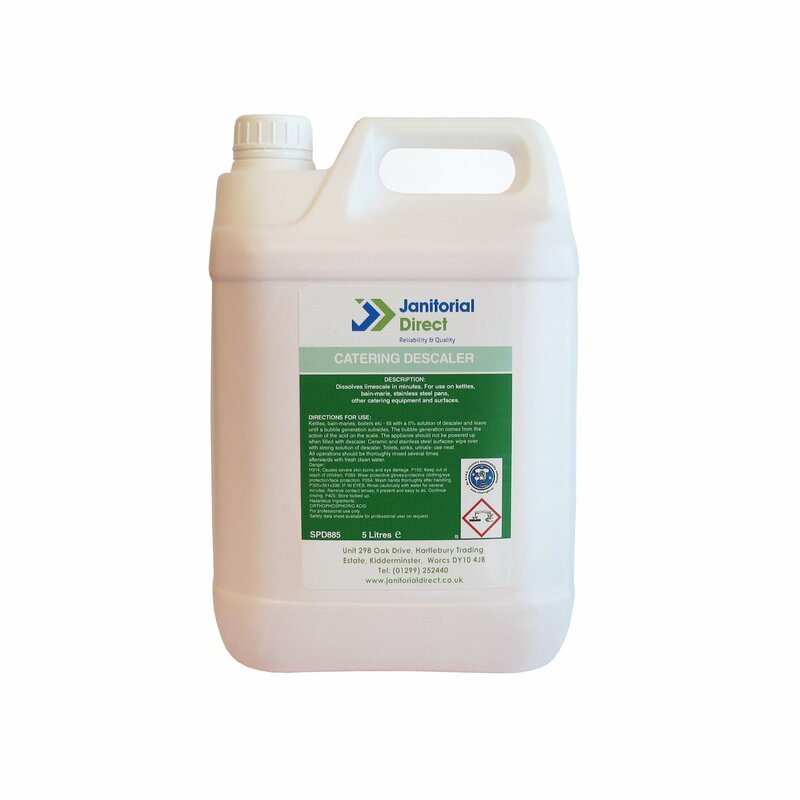 SPD885 catering descaler is a clear liquid with a low odour. This descaler dissolves limescale in minutes and is safe to use on all catering equipment. Fill with 5% solution of descaler and leave until bubble generation subsides. The bubble generation comes from the action of the acid on the scale. THE APPLIANCE WHICH IS BEING CLEANED SHOULD NOT BE SWITCHED ON WHILE IT IS FILLED WITH CATERING DESCALER. When using on ceramics and stainless steel surfaces wipe over with a strong solution of descaler. On toilets, sinks and urinals use neat. All operations should be thoroughly rinsed several times afterwards with clean water. This product is safe to use on plastic, however it is best to always test a small area first.